"Game of Thrones" Season 7 Episode 5 Spoilers: Is Jaime Lannister Dead? “Game of Thrones” Season 7 Episode 5 Spoilers: Is Jaime Lannister Dead? Game of Thrones season 7 has seen a lot of drama on and off screen, but it’s only the beginning! After a lot of controversies of the leaked scripts and fan theories, GoT season 7 episode 4 finally aired on Sunday, and if you missed it, you have to stop whatever you’re doing, and just read on! The episode was massive with a lot of turning points and revelations, and that ending was an absolute nail-biting thriller. 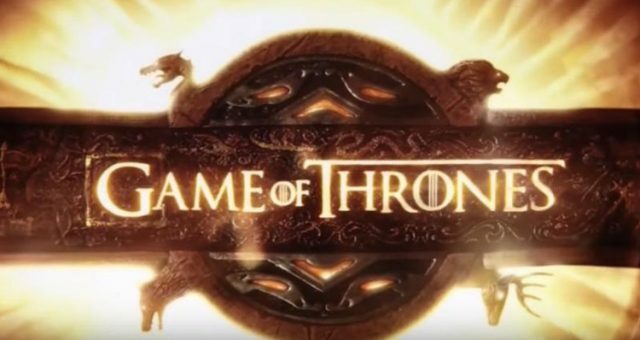 For all who want to know what is next on GoT season 7 episode 5, then go nowhere, we have the spoilers right here (if you haven’t already watched it)! So, here’s everything on GoT season 7 episodes 4 and 5. If you watched GoT on Sunday, you would know all about cold sweats and fret! Yes! That’s what the episode did to everyone, and the season 7 episode 4 recap is a definite must read before we start to “spoil” the season 7 episode 5 for the viewers. The ending of episode 4 almost “sank” hearts and the fans are all already riled up for the next exciting episode. So, here are the Game of Thrones season 7 episode 4 recap as well as episode 5 spoilers. Take a minute to calm yourself and read on! The episode opens with Bronn and Jaime getting their stuff ready for war, and after paying Bronn a whole of gold, his belly doesn’t seem to get full! Bronn says “It’s not a castle” and asks for the Highgarden Castle. Jaime just calmly explains that it’s not the right place to live and says “Daenerys Targaryen can come and take it back the day after you move in.” Bronn isn’t convinced about all these reasons but marches on to the war anyways. At Winterfell, Arya and Sansa finally meet each other after Arya comes back home, but finds that everything has changed. They stand by Ned Stark’s statue and Arya says it should have been carved by someone who knew his face. 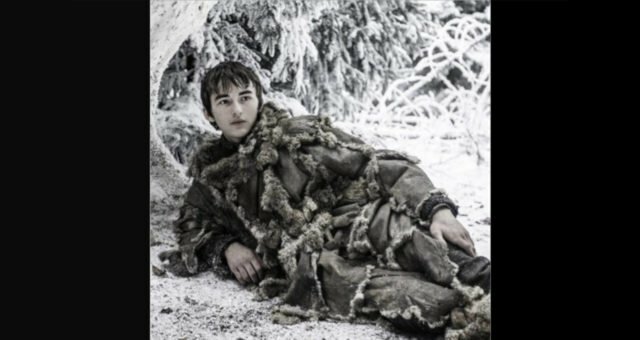 Sansa is glum that everyone who knew him is dead. After a brief exchange of how they both found their way back home and a sisterly hug, Sansa tells Arya that Bran is home as well. Arya also questions Sansa about King Jon leaving Winterfell at her command and seems shaken by his decision. The sisters meet up with Bran, and he says he saw Arya coming. To her disbelief, she is explained that Bran has visions. Bran then reveals a dagger given to him by Littlefinger and says that he doesn’t want it and hands it over to Arya. She knows she wants it as the dagger is made of Valerian steel so accepts it from Bran. Meanwhile, Dany and Jon have already met each other after a long wait, and now, Jon Snow and Dany are in the Dragonglass mines, where he shows her the cave paintings and glyph that reveal that the White Walkers are not a myth. 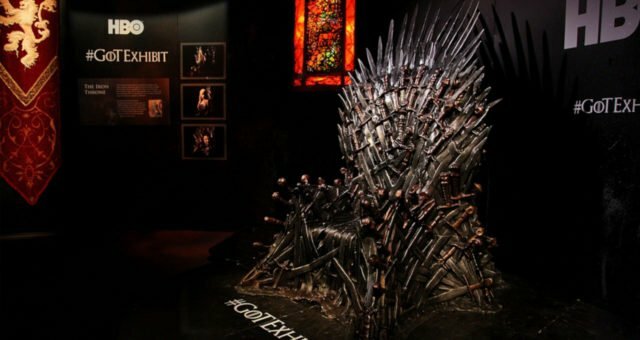 The paintings also have spiral patterns, that can be connected to the same pattern made with body parts by the White Walkers. 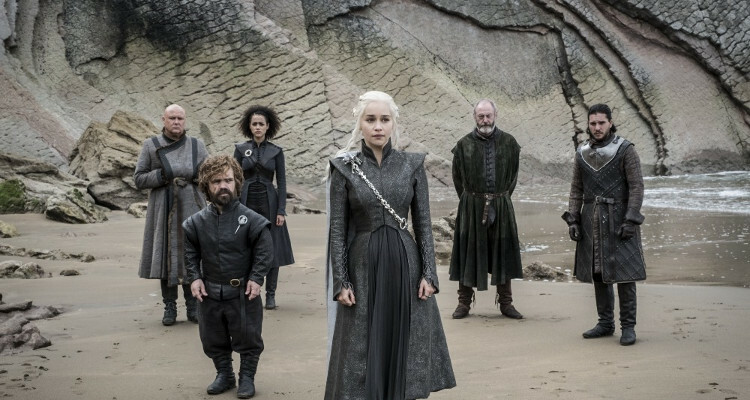 Dany is looking desperate with her losing side, or so she claims, when they are all at the beach, and she talks to Tyrion about stopping his clever plans and just start bombarding The Red Keep, where her enemies are using her Dragon power. Tyrion is a little reluctant about that to which she looks to Jon Snow for guidance. She asks him “I’m at war, I’m losing, what do you think I should do?” King Jon says that he never knew that dragons existed and that the people who followed her are expecting Dany to give them a better a life than they are leading now. But if she goes and starts destroying cities and castles, she is no different than the other conniving kings anyway. The decision of taking Drogon and the Dothraki army to defeat Jaime Lannister is taken by Dany and the spectacular war starts. The two main characters as war opponents are rare, and as expected, the dragon comes as a surprise to the Lannister army. 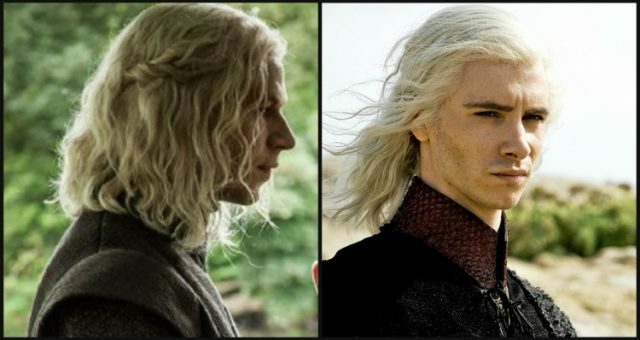 While Jaime is left open jawed at the massive dragon not being a myth anymore, Dany looks to be at an advantage. While Dany rides her dragon bringing doom to her enemies, Bronn brings out the enormous crossbow and takes aim at Drogon but misses his first shot. While Dany sees this and starts hovering around Bronn, he takes another aim and this time hits Drogon spot on. He watches the dragon come down but destroying the crossbow as it dives to the ground. On the battlefield, Jaime is looking over his plundered army on the horseback and spots Dany trying to remove the jabbed arrow from Drogon’s side. 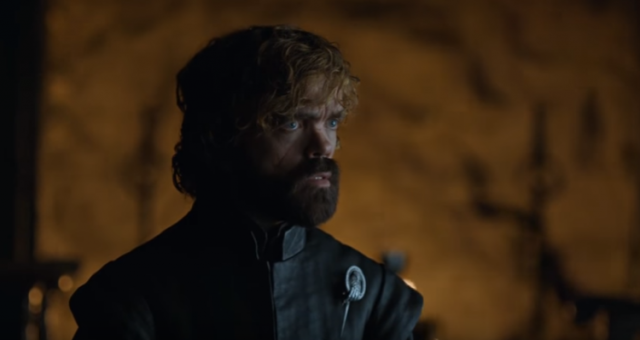 Tyrion watches Jaime striding towards her with a spear in hand after he says “Flee you Idiot!”Jaime Lannister thinks he can get Dany but before he could come close, Drogon unleashes his fiery wrath on him. Just as Jaime is about to be crisped, he is saved by an unknown character and the two of them fall into Blackwater. As they see their horses burn into ashes, the ending scene sees Jaime Lannister drowning to the depths. In the latest preview released by HBO on Game Of Thrones season 7 episode 5, tensions are rising. Is Jaime Lannister dead? Is Drogon fully healed? These are the questions that are running on our minds, and the preview opens with Dany ordering the Lannister army to bend the knee and join her or die. 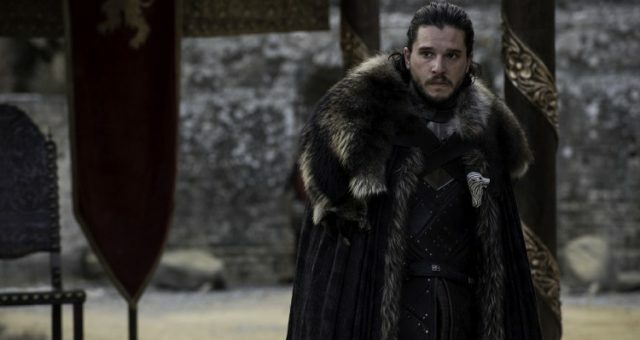 King Jon and Bran seem to be in connection, and Jon explains to Dany, Davos, Tyrion, and Varys; while at the Dragonstone war chamber; that Bran has seen the Night King and his army is plowing towards Eastwatch. The so-called brothers are in touch through the three-eyed raven. Is there a chance that the raven also tells him about his parentage, but Jon chooses to discuss only about the Night King? Well, Tyrion is at his drinking again, with Varys feeding him thoughts of getting Dany to listen to him. Drogon looks to be completely fine, which puts Dany back in her spot with advantage. Cersei is seen telling “ Whatever stands in our way, we will defeat it,” but the question of her brother being alive is still a mystery. Is it possible that the person who saved him is Bronn, and he somehow did not allow Jaime to drown as well? The theories are flying around, and only the next episode will “shoot” the rumors down. The trailer ends in a flash with the ravens seen flying above perhaps the Night King’s army. Watch Game of Thrones season 7 episode 5, August 13, 2017, at 9:00 p.m. EST only on HBO.